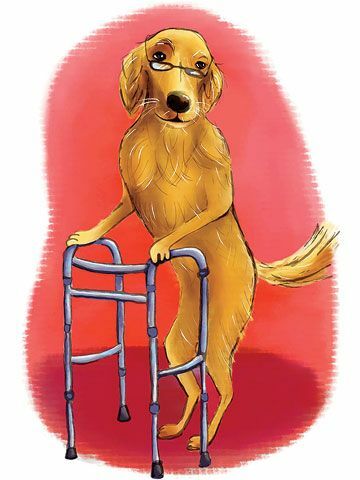 Aging pets need special care; here's how to keep them healthy. Our guidelines will help pet owners identify common ailments, but you should medically treat your pet only under your vet&apos;s supervision. Unusual behavior such as aggressiveness or extreme lethargy. Weakness or inability to move. Slowing sign: Lethargy, difficulty rising, and a stiff gait. Severe pain can make an animal sedentary. 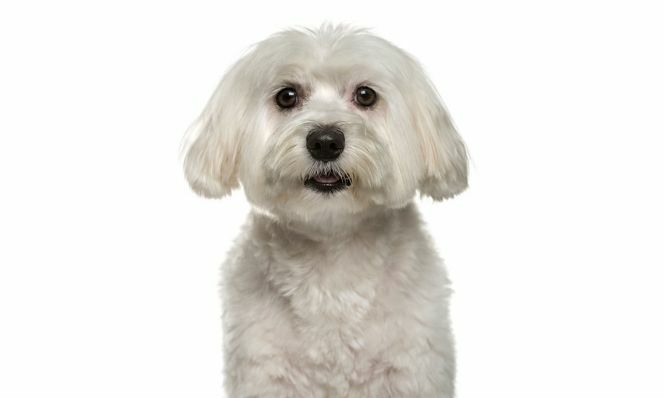 How to help: Your animal needs supervised, restricted exercise, so take your dog for short, slow walks around the block. Boost bone health by giving a supplement with glucosamine, like Joint Solution (jefferspet.com; $6). Your doctor may also recommend anti-inflammatory drugs. Slowing sign: As in humans, vision degenerates with age. Look for cloudy eyes, lack of response to toys or other stimuli, or bumping into furniture. How to help: Keep food bowls in the same place so your pet can find them, and don't move the furniture around. Slowing sign: Decreased appetite and weight loss. Alternatively, some animals will gain weight because low energy levels lead to a decrease in exercise. How to help: Monitor food intake to make sure your pet eats twice a day. Your vet can screen organs to ensure normal function, then prescribe an appropriate diet. If your animal isn't absorbing nutrients very well — he can't gain weight — try a liquid meal supplement like CatSure or DogSure (petsmart.com; $8). Slowing sign: Frequent accidents, decreased appetite, weight loss. How to help: Increase the number of times you take your dog out, and keep your cat's litter box in the same place, so he knows how to get to it fast. Make sure to provide a constant supply of fresh water. Your vet will probably prescribe a special diet for bladder stones or antibiotics for cystitis. Slowing sign: Inadequate dental care can lead to bacteria and plaque buildup and, eventually, to teeth falling out. One sign: Bloody gums after your pet chews on a toy. How to help: Get her teeth cleaned twice a year. Give her dry, crunchy foods and safety-knot bones to encourage slow chewing and prevent plaque buildup. Copyright © 2008. Used with permission from the March 2008 issue of Family Circle magazine.